Even though most of them are rubbish, most videogame versions of movies and TV shows make sense: people want to be Rambo, lay waste to Xenomorphs or play a GTA rip-off starring The Simpsons. The TV show: A mid-2000s sketch show that was more popular than a dancing dog handing out fivers, even though it was basically just the same few characters saying the same thing every week. The game: A collection of 7 mini-games based on the show (the promo material says there’s 8, which shows how much love and attention went into this game). ‘Highlights’ include a roller-skating Vicky Pollard collecting CDs from her local park (with random rocket fuel explosions coming out of her bum) and Andy diving into a swimming pool while Lou isn’t looking. As you might expect, Little Britain: The Video Game got terrible reviews and soon took its place in the bargain bin alongside Majorie Dawes mugs and ‘I’m a lay-dee’ tea towels. 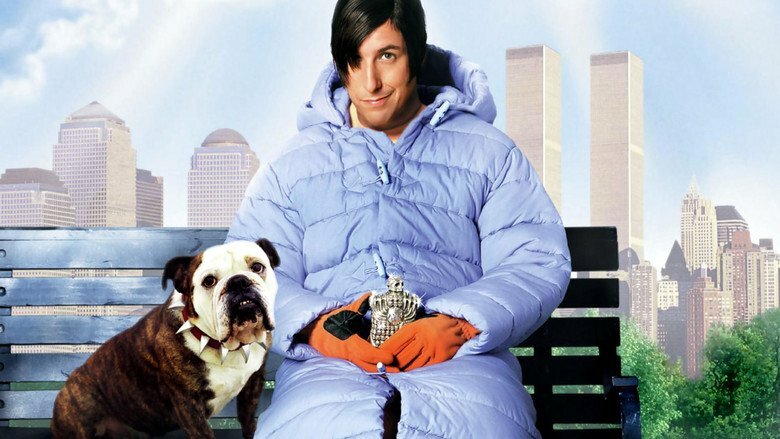 The movie: Adam Sandler is the loveable and dopey Son of Satan (as many suspected), sent to Earth to retrieve his evil brothers before they cause untold chaos. Hilarity ensues. The game: A Super Mario Bros-esque platformer with extremely tinny sound clips from the film. It does provide the opportunity to chuck Adam Sandler into bottomless pits endlessly though, which some may find therapeutic (especially if they’ve just watched That’s My Boy). The movie: A nerdy teenager spends his days towing his brother into town, throwing toys out of school buses and wishing he had the ‘great skills’ girls like so much. The game: Said nerdy teenager actually has great skills, which he uses to hunt wolverines and ride unicorns (through – we kid you not – space). You still get to drag toys behind the school bus, though. The movie: A cute robot is left to tidy up the Earth after humanity leaves it in an almighty state. Eventually, he meets a lady robot and they travel to the spaceship where humanity now resides. The game: Pretty much the same, except the docile robot we all know and love is now a RELENTLESS KILLING MACHINE who murders fellow robots with his laser beam. 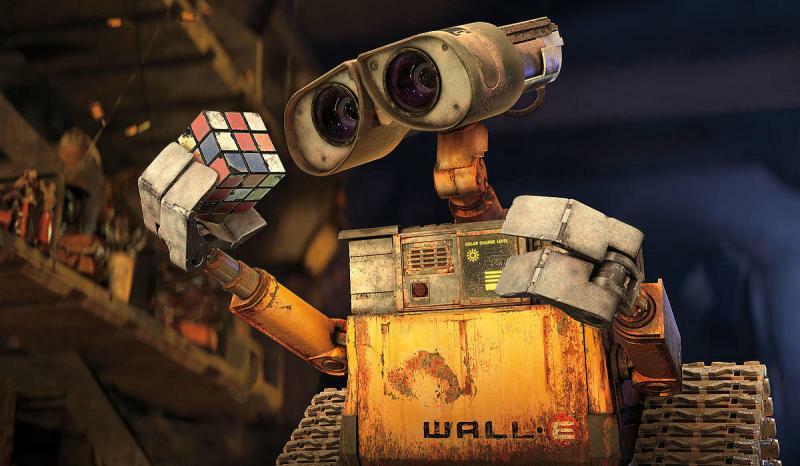 Seriously, don’t mess with Wall-E. The movie: Two rock-loving teens run their own public access show and learn the perils of selling out to ‘the man’ along the way. 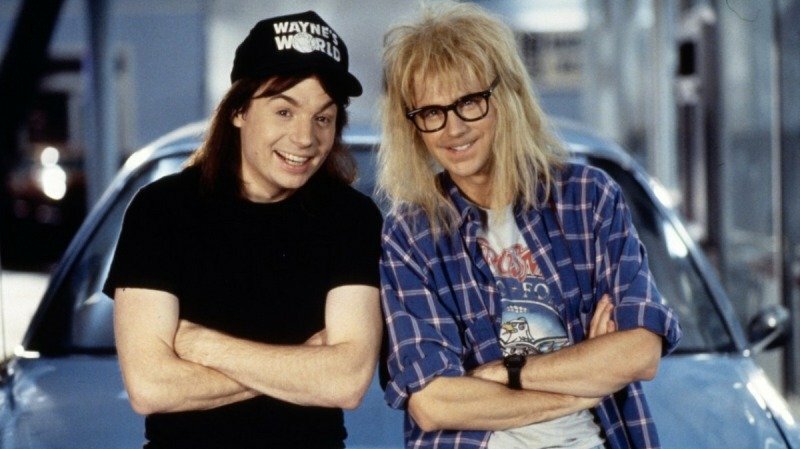 The game: Pretty much the same as the film, except Wayne and Garth get sucked into a videogame. Garth then gets abducted by a giant purple blob (repeatedly), and it’s up to Wayne to save him by shooting zombies (and a Robo Elvis) with his magic guitar. Come to think of it, it’s actually nothing like the film is it? The movie: International Man of Mystery and all-round swingin’ dude Austin Powers is woken from cryogenic sleep to take on his arch nemesis, Dr. Evil. He’s more concerned with pulling modern women, though. The game: Forget all that globe-trotting spying stuff. Someone decided it would be more fun to let you play on Dr. Evil’s computer instead, which is loaded with rubbish mini-games. Perhaps he should spend that 100 billion dollars on some decent games. What’s the weirdest movie video game you’ve ever played? Let us know in the comments, or over on Facebook and Twitter. Don’t forget you can sell games with us too; just click below to get an instant price.